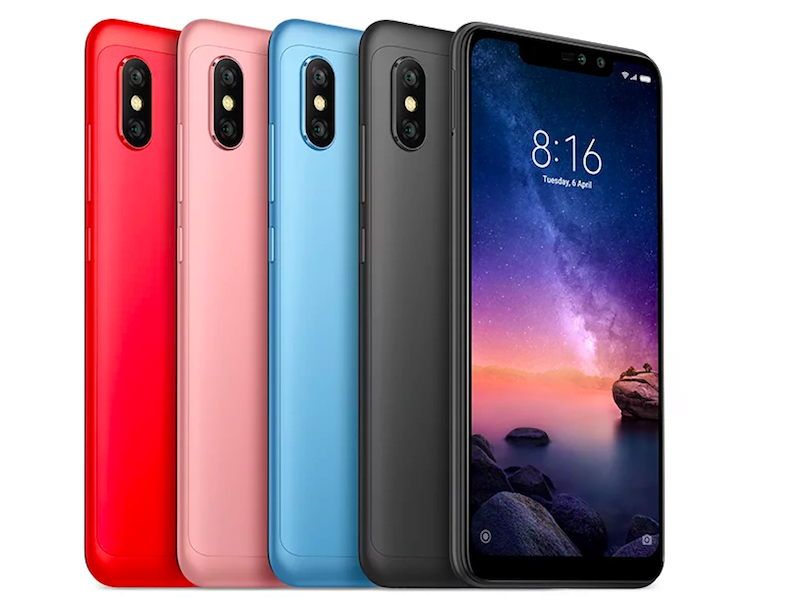 Xiaomi is yet to confirm that it’s working on the Redmi Note 6 Pro but in a surprising turn of events, the smartphone is already available for purchase via Aliexpress. A retailer has listed the upcoming smartphone with renders, complete specifications and pricing, however, do take the pricing aspect with a pinch of salt as the official prices might differ from what is listed on Aliexpress. As we reported earlier, the Redmi Note 6 Pro will be available in two variants and four colour options- Black, Red, Rose Gold and Gold, same as the current generation Redmi Note 5 Pro. Going by the listing of Aliexpress, the Redmi Note 6 Pro will have a notched 6.26-inch Full HD+ display on the front. The phone is powered by the Qualcomm Snapdragon 636 chipset, clubbed with 3GB/4GB of RAM and 32GB/64GB of internal storage. Xiaomi did not launch the Redmi Note 5 Pro in 3GB/32GB storage option in India, but it seems like the base variant will be coming to India as well. There will be a microSD card slot for storage expansion. It seems like there may not be any 6GB RAM variant of the Note 6 Pro. The Redmi Note 6 Pro measures 8.2mm in thickness, slightly thicker than the Note 5 Pro by 0.1mm. The device will be backed by a 4000mAh battery and it lacks fast charging support. Connectivity options on the Note 6 Pro include Dual 4G, VoLTE, Wi-Fi 802.11 b/g/n/ac, Bluetooth 5.0, GPS and Micro USB port. Yes, we’re inching towards the end of 2018, but Xiaomi is still using a Micro USB port. Cameras on the handset include a 12MP+5MP sensors on the rear side and a 20MP+2MP shooters on the front. One of the major features on the Note 6 Pro will be the dual front-facing cameras which were absent on the Redmi Note 5 Pro. Other features include the fingerprint scanner on the rear side, MIUI 10 based on Android 8.1 Oreo and a software-based Face Unlock functionality. 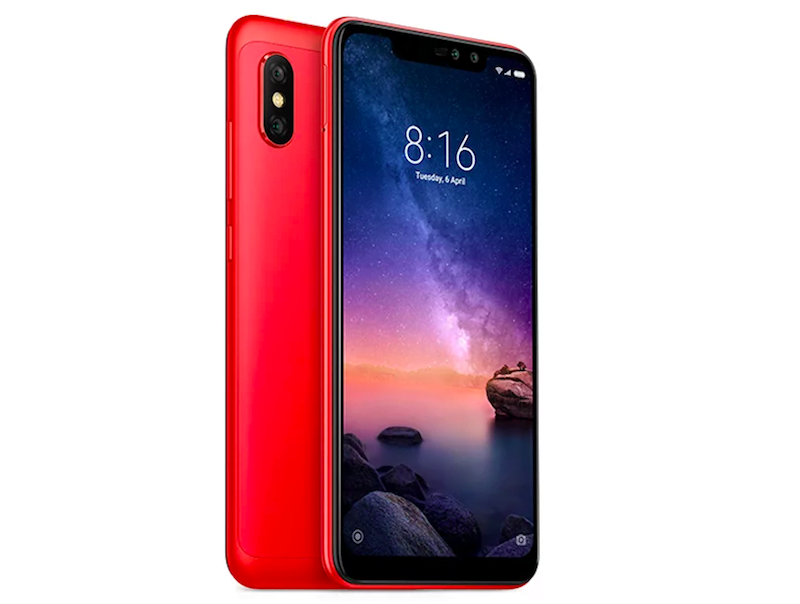 As mentioned above, the Redmi Note 6 Pro has been listed on Aliexpress. The Redmi Note 6 Pro’ 3GB/32GB variant is listed for a price of $193 (approx. Rs 13,500). However, do make a note that it’s not the official pricing of the smartphone, so take it with a pinch of salt. The seller on Aliexpress did not list the pricing of the 4GB/64GB option. Xiaomi is yet to reveal the launch date of Redmi Note 6 Pro, be it for China or India. Since the Redmi Note 5 Pro made its Global Debut in India, it’s completely possible that Xiaomi will launch the Redmi Note 6 Pro in India as well. But next on the list is the Mi Max 3 which is expected to make its debut in India next month. So we might see the Redmi Note 6 Pro coming to India at the end of October or in November. Surely, the China launch of Note 6 Pro is around the corner. In other news, Xiaomi has set a launch event for September 19 in China for unveiling two products in its Mi 8 lineup. The Chinese smartphone maker will probably launch the Mi 8 Youth and Mi 8 In-Display Fingerprint scanner edition in China. Poco F1 but dont have it blaster. Rest everything is there what you are looking for.